There are constant risks to data ever since the world became aware of hackers. Universities and such large educational institutions are the favorite targets of hackers who spin private data and exploit them for their fancy. Generally higher educational institutions have not been keeping tight security protocols for voluminous data and most often there have been accidental data loss and exposure. The volume of personal data collected by universities and other educational institutions coupled with unsavvy population has been the culprit in most cases. Individuals and systems that have access to sensitive data often get attacked. A good number of data breaches reported by colleges and universities are a result of data theft. Employees who have a grudge against an organization or people who have an inkling to make money by selling data look for data stored in laptops, hard drives etc. Data breaches are mostly done by insiders. They push hackers into the second place as per a study done by the Ponemon Institute. 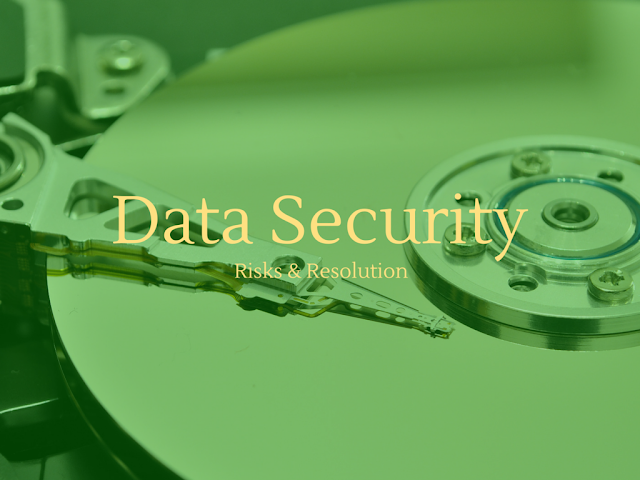 Data loss is another risk involved with bulky data. Data gets lost by misplacing paper files or backup tapes. Laptops that are left unattended are a means by which data gets lost. If data reaches the hands of unauthorized people the risk cannot be avoided. One has to be very careful in selling old computers or while recycling them because the data or information which is stored in them must be carefully transferred elsewhere or deleted. If data is not properly erased it can be retrieved by anybody with the help of a few cheap tools. Leaving data on media which is not rightly protected with a strong password is highly risky. Such data is vulnerable when it reaches a breacher or a thief. Paper files are also sensitive, they should be properly disposed or recycled making sure that no data goes out unattended. There are processes like collecting, storing, sending, encrypting, finding and removing data. They all have implications for the safety of data. People who handle sensitive data find themselves doing one or more of these activities. Proper safety actions must be taken in order to avoid data theft or loss. Sensitive data stored in files which are accessible through internet in universities end up in cases of breaches. File sharing softwares need to be maintained cautiously to avoid data loss. Whether anonymous communication is possible, if yes, how. Personal data storage is a concern for all tech savvy people of the present times. In order to store the ever growing personal data there is an innovative technology called personal cloud storage. It is mainly used for storage and collection of digital content. There are multiple options to back up storage of personal data. Storage, further, has different options based on the modern technology as against the regular hard drives. Depending upon the volumes that are to be stored and on the type of data usage there are novel methods of storage which can be utilized. The biggest worry is not about profile data, but personal data which gets leaked and produces erroneous results. The need of the hour is to make optimum use of the cyber security measures in safeguarding any amount of data that needs to be protected. Cyber security measures comprise the entire range of knowledge, tools, or technologies developed to protect networks, computers, programs and data from attack, damage or unauthorized access. Paradoxically enough, the same technologies can create security risks to data volumes by making volumes of real time data available! In big data analytics very large volumes of data have a high probability of displaying fake patterns which, in turn, establish relationships between variables by the sheer volume of sample data. Often it is the volume of data which harms itself. Huge data have two major limitations which are listed below. Large volumes of data evoke “false confidence” in the predictive capacity of data analysts. Results from Big data analytics are vulnerable. They can be easily manipulated, misinterpreted, or misused by individuals or organizations to present cases in their favor. Too much dependence on data can also be risky. There are many factors outside data which are as critical as data. Some of them are strategic goals, trust, respect, instinct etc. The real concern in big data analytics should be to have a thorough understanding of the data which is being used to gather insights. Big data help in some ways, but they are not without limitations. If security measures become liberal the result would be disastrous. Large amounts of data help in decision making by providing all the necessary information in time. A deep understanding of the circumstance and context is very much necessary in order to gain positive results. Bulks of data cannot solve all types of problems in business. They fit in well in scalable and variable data environments. A friendly association among various networks would be required to solve different types of business problems. Many organizations have chalked out risk management schemes especially banks have Enterprise Risk Management (ERM). Though this facility underestimates the importance of data it deals with timely scrutiny and proactive management of risk across business. A sound ERM framework would include the ability to monitor in near real-time and it will have an impact on lending and trading decisions in the bank sector. But any deficiency in the data volume will hamper the success of ERM. When poor data is combined with the management of risk, the ERM will be undermined. When big volumes of data are involved the immediate concern should be to have tight security measures. Profile and personal data must be confidential. Security breaches are highly probable in cyber activity; therefore, no room should be left for hackers and breaches. Educational institutions and other organizations should have personal log in facility which would minimize the risk to a great extent. Usernames and passwords should not be disclosed to anyone at any cost. Volumes of data cannot be totally avoided, but they should be kept safe from security attacks. I am Scott Justin and working as a freelance writer for as far back as 15 years. And also am centered on composing articles, proficient essay composing and different sorts of works since quite a while back. I have been working with a professional cheap essay writing service for as far back as ten years. There is a best answer you need like write my paper for cheap. Give the best thoughts legitimately in formal and scholarly structures, as required at the spot you concentrate on in.